The sweet San Juan Islands seem to capture everything pure and glorious about the Pacific North West. Guests chartering these waters may feel as though they have fallen into a time-warp; one where neighbors smile and say hi, independent businesses bloom, and the cobalt blue waters brim with whales and other such wonderful marine life. Hopping around this sublime sailing playground is best done with a sporty, fun number – and for this we have fallen in love with the Jeanneau NC 1095 Legend. 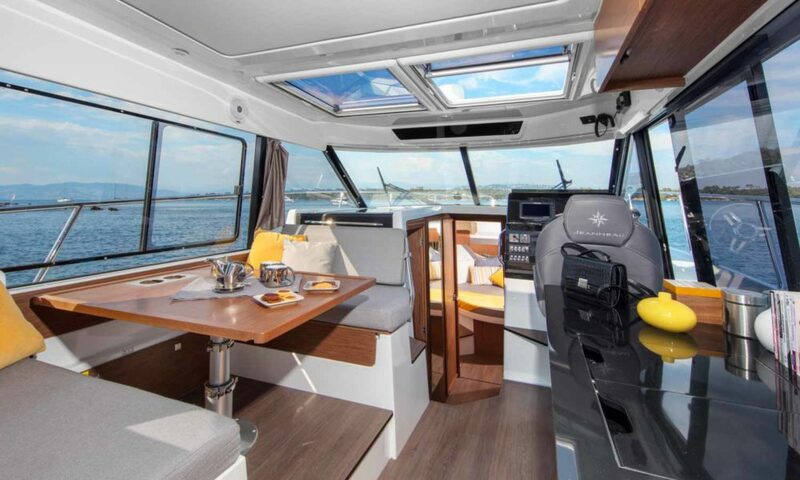 Sitting pretty at 35ft, this 2/3 cabin flagship yacht is a vision of natural light and space, inviting families to load up for the weekend and hit the sparkling waters. Whale watching is a veritable highlight of life on the water around the San Juan Islands. Nothing can compare to witnessing the mighty shadow of a whale pass beneath the sun-soaked waters. 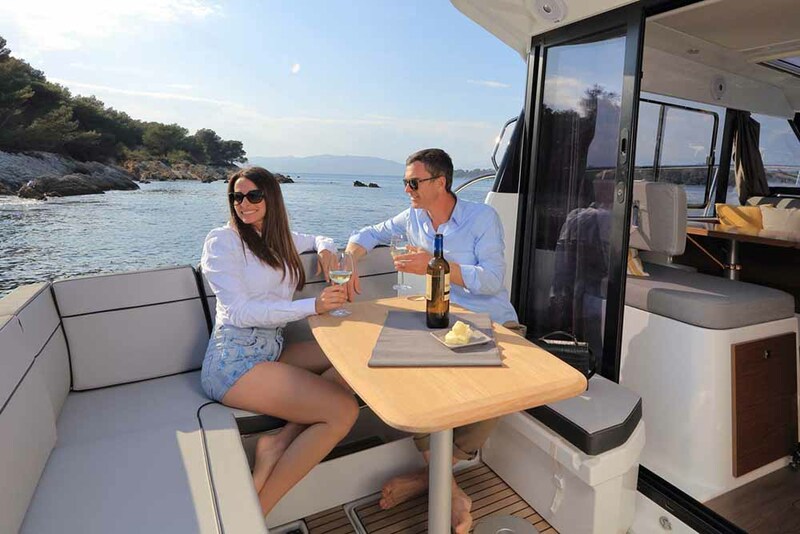 But these majestic creatures need their space, which is why a boat like the Jeanneau NC 1095 is perfect for orca spotting – it allows you to glide by unnoticed and can offer striking front row views from the comfort of the forward sundeck. For a taste of that good old-fashioned Americana, leave Jeanneau at the Friday Harbor Marina – also known as the gateway to the San Juan Islands. Duck into the charming little town awash with independent shops, ice-cream parlors boasting a hundred flavors, and for those visiting later in the sweltering heat of August – the chance to visit the colorful San Juan country fairgrounds. Friday Harbor is also home to a well-shelved grocery store, so those who don’t want to catch their supper while out sailing – can stock up here. 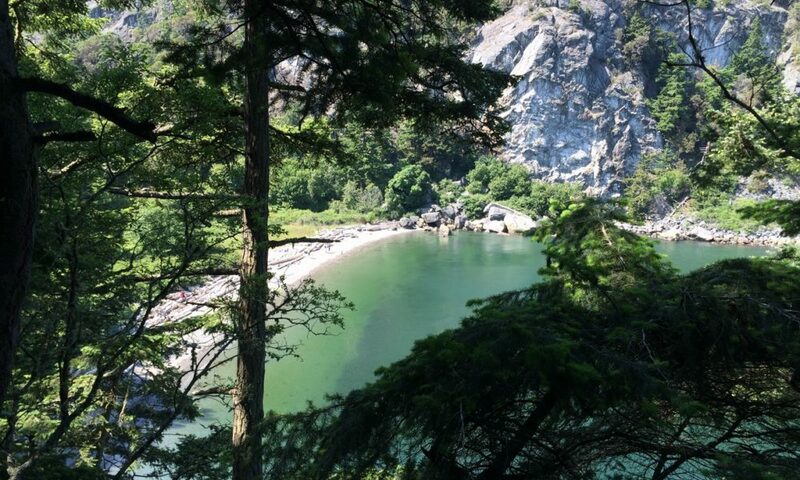 The Sucia National Park is said to be one of the gems of the San Juan Islands and finding an anchorage spot with the Jeanneau won’t be too much hassle, even when the shores are full. History lovers will be in their element exploring the former prehistoric seabed floor where sharp eyes can spot ancient fossils etched into the rocks. Cruise down to Stuart Island Marine State Park to see how the locals live without easy access to the mainland. 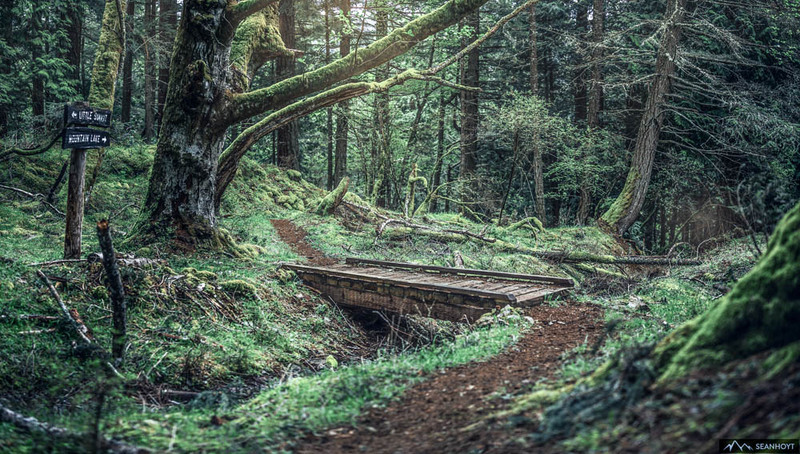 The San Juan Islands are scattered with homesteads; orchards laden with summer apples, curious eyed deer’s disappearing into the trees, and wild hikes for those who want to stretch their legs. Back on Jeanneau and a crab lunch complemented by ice-cold beer can be easily whipped up to be enjoyed in the bright L shaped lounge. Hailed as the friendly Isle, Lopez is all forests and rolling hills, driftwood beaches and snow-capped mountain horizons. With only 2500 year-round residents suffice to say, everyone knows everyone. Still, the charming little island is a great place to get a feel for local life. Ponder over pages in the bookstore, sip coffee in charming and quaint cafes, and duck into the local galleries and historic museum. 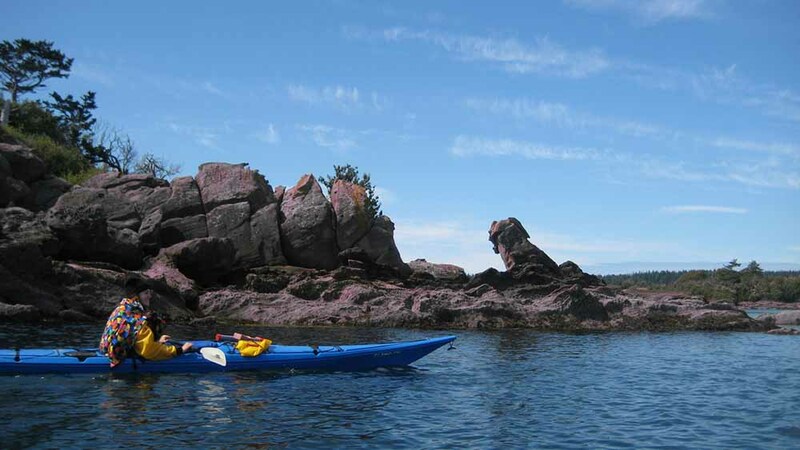 The Orcas Island is celebrated as being the velvet green jewel of the San Juan Islands. 57 miles of pure rural bliss are waiting as you step off the recessed side deck of Jeanneau and onto shore. Old barns stand doused in soft light, artists studios fling open their doors, and forests and hills entice cyclists and walkers into the wild. Take a break from saltwater and swim in the cool lakes of the Moran National Park, visit the cascading waterfall, or take a horseback tour through the dense dark forests. 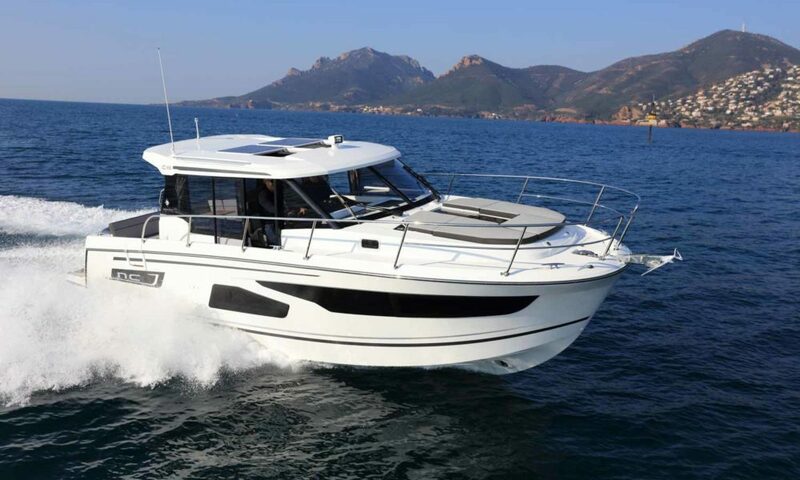 Whether cruising San Juan for a day, a weekend or more; the Jeanneau NC 1095 is one of the most comfortable family cruisers you can find. Lashings of storage space, a chic modern design, and the perfect blend of indoor and al fresco space invites you to make the most of life out on the water. For more information Contact Sundance Yachts.